Oops! 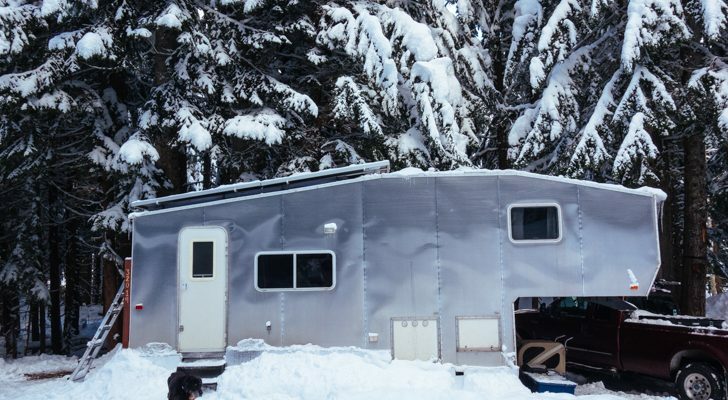 Did you pull away from your trailer without unplugging? 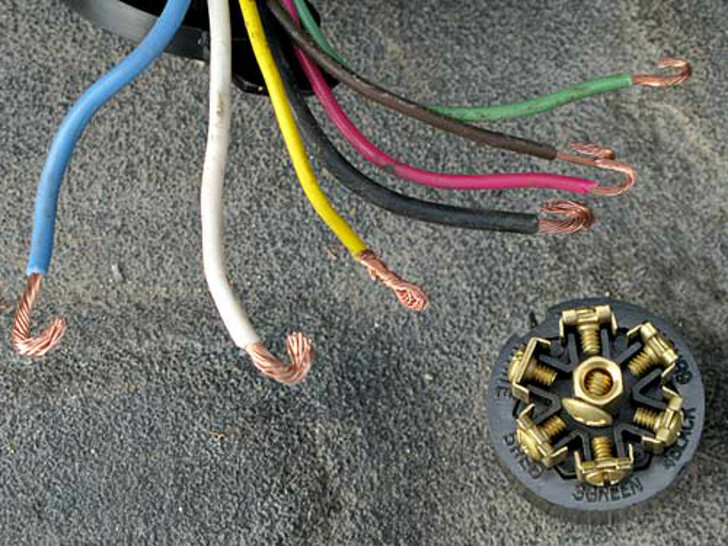 Here's how to fix a broken 7-way trailer cord on a fifth wheel, trailer or other towable RV. 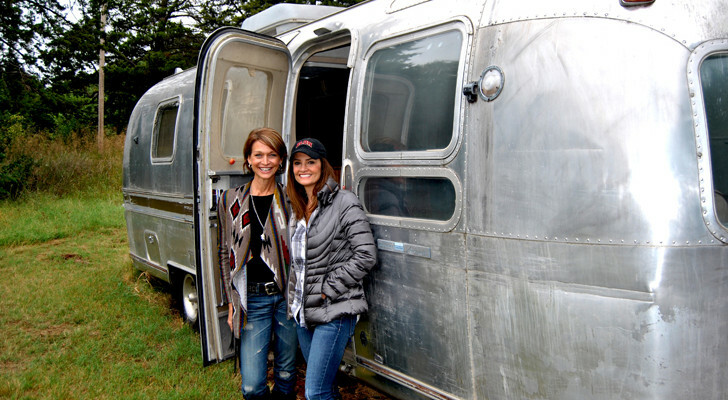 Even experienced RVers forget critical steps when setting up their RV campsite. 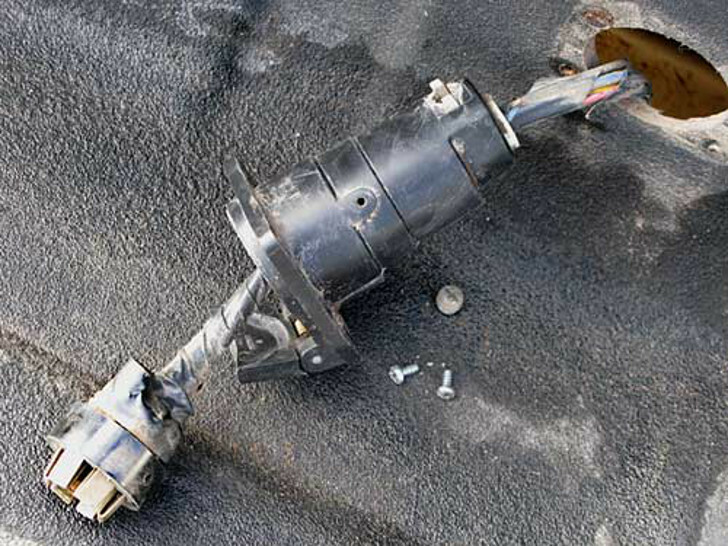 Here’s a common one: many fifth wheel and trailer owners often forget to unplug the trailer cord before pulling away with the truck. 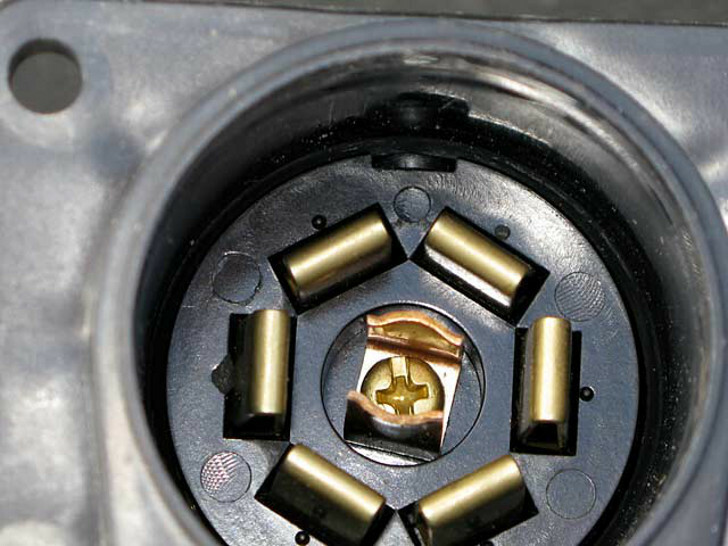 If you happen to find yourself with a broken 7-pole plastic connector, here’s how to fix it in 10 easy steps. 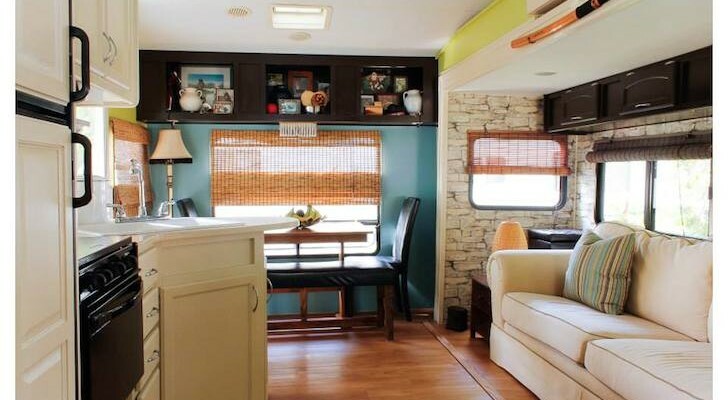 Broken 7-pin trailer cord sockets happen for many reasons. 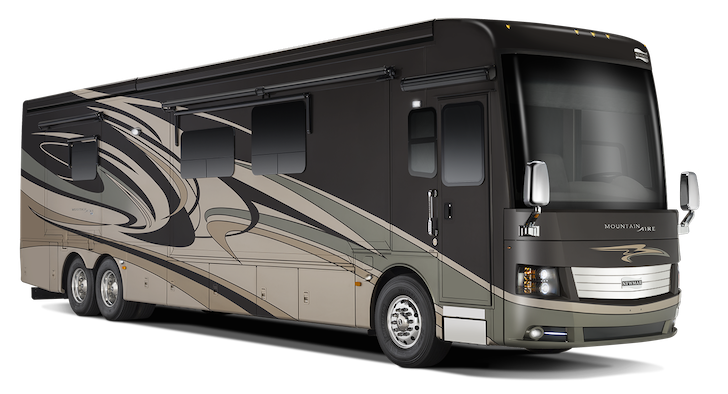 Any RVer with a screwdriver can replace the socket for their trailer tow lights/brake wiring harness by following 10 simple steps. 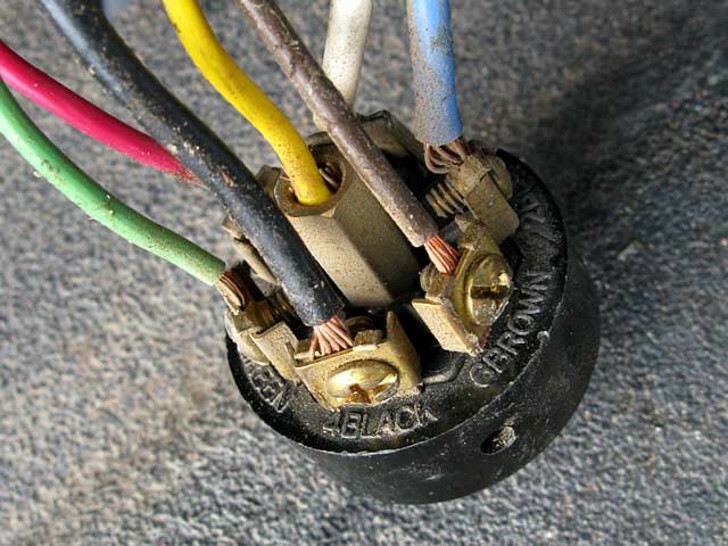 Similar steps would be followed to replace the 7-pin trailer plug at the end of your cord. You’d just need the male half of the unit. 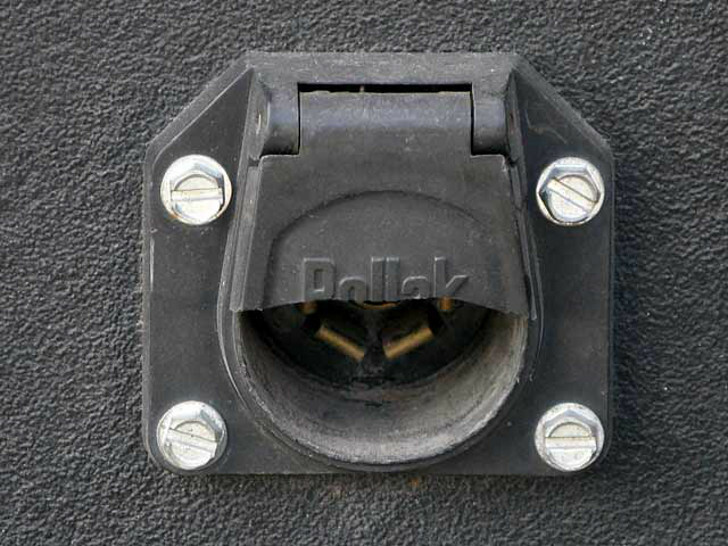 For fifth wheel owners: Remove the four screws that secure the trailer cord socket to your truck bed. Gently pull the socket and cord out just far enough to comfortably do your repair. 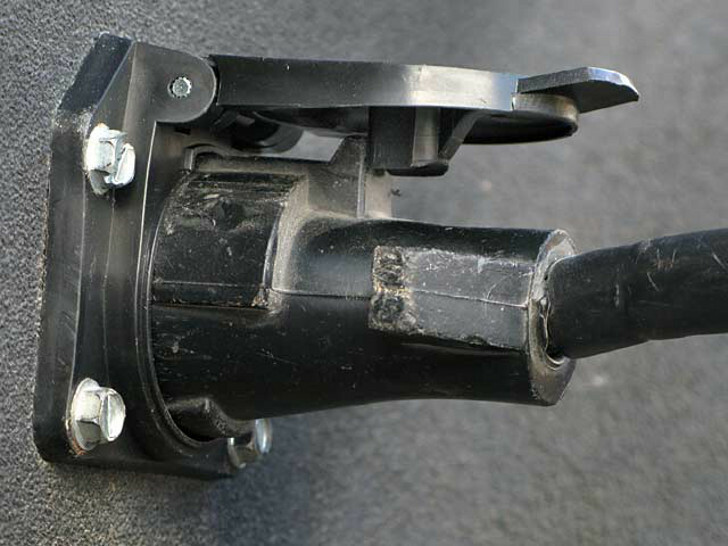 And if your truck doesn’t have a trailer cord socket in the bed, now is the time to add one so the cord doesn’t drape over the tailgate. 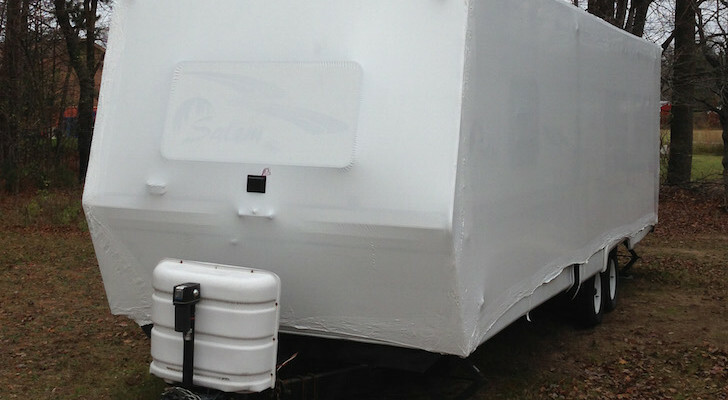 For travel trailer owners: Follow the same procedure for bumper-attached sockets. Be gentle when removing the socket. Now it’s time to release the wiring harness. 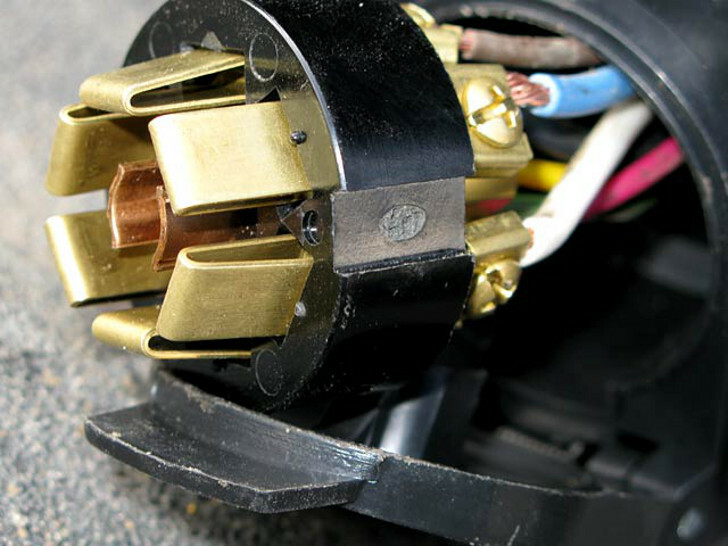 Notice the two small screws outside of the broken 7-pin trailer cord socket: remove them along with the screw plug that secures the wires at the bottom. Don’t lose those little screws! 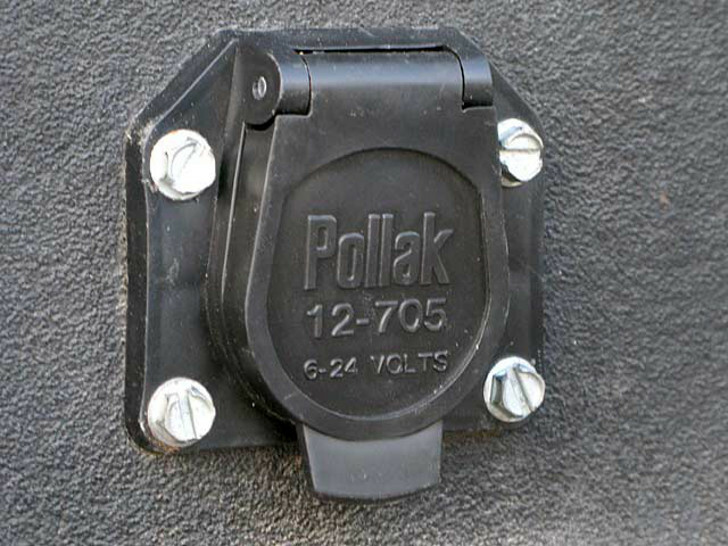 The plug assembly should be clearly marked to indicate what color wire attaches to which post. Know which color wire attaches to which post. Carefully remove all wires from the old socket. Slide each new wire through the new socket housing from the bottom, then twist each end in order to create firm connections to the new plug assembly. Grab the center wire first, and attach it to the center screw in the new socket. Then do the same with all other colors and place them in their corresponding positions. Consider making small loops with each wire to guarantee a secure fit and maximize the surface area that comes in contact with the blades of the terminal. Small end loops secure the fit and ensure a solid electrical connection. When all wires are attached, insert the plug assembly into the socket housing. Observe the position of the notch on the side. See the notch on the side? Align the notch in the plug assembly, and with the tab in the socket housing firmly join the two together. There’s only one way they can fit together. There’s only one way this fits together. 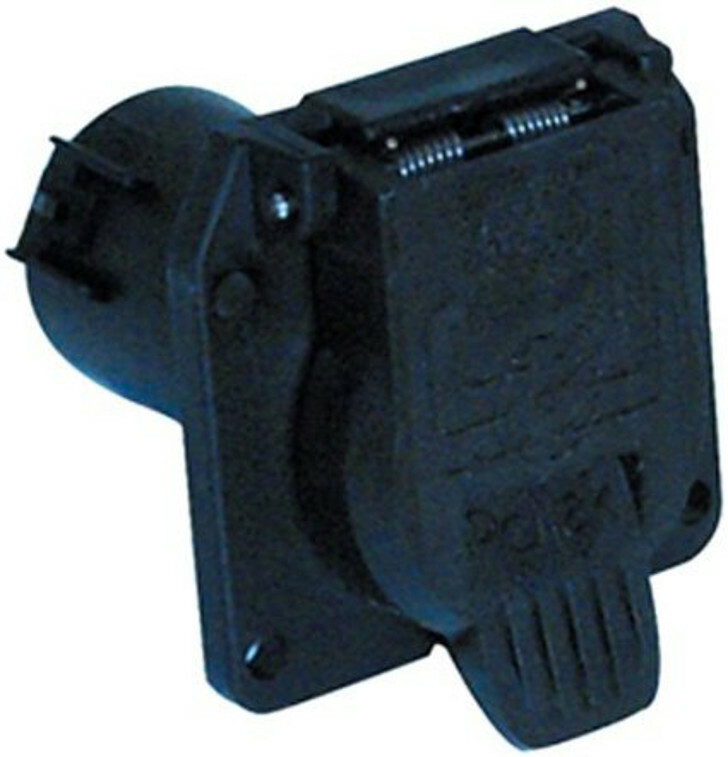 Attach the plug assembly to the socket housing with two small screws, one on each side. Secure wires at bottom with the threaded plug. 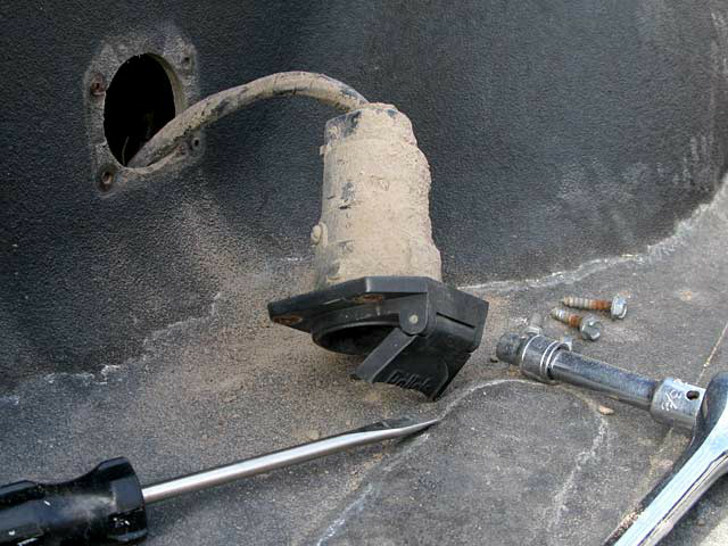 Reinsert the reassembled socket into your truck bed or bumper bracket. Secure it with provided screws. 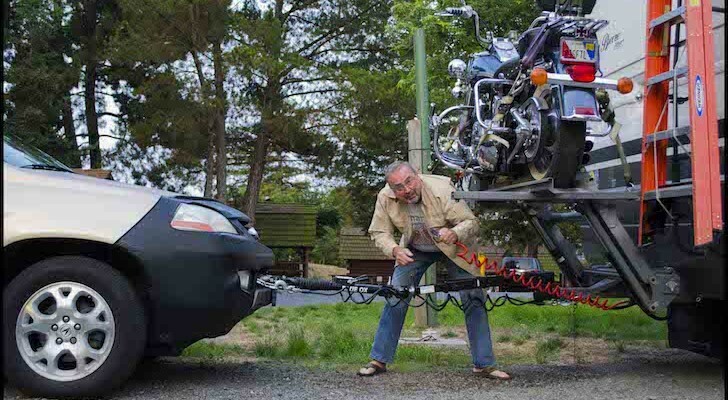 Back it goes into your truck or bumper. 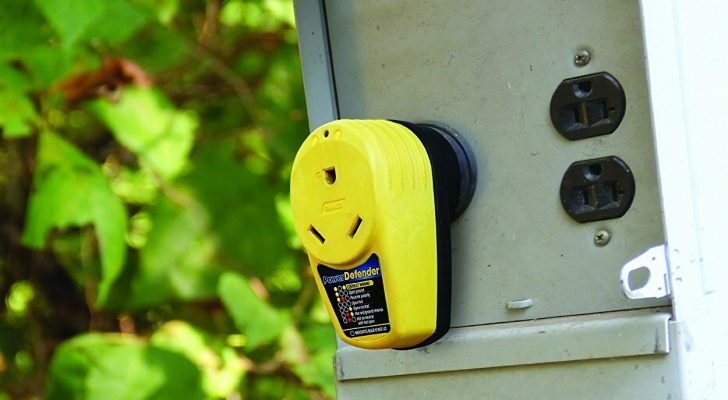 Use the spring-loaded outlet cover to securely fasten your trailer cord in its socket. Plug in and you’re done! Replacing a broken 7-pin trailer cord socket doesn’t take a lot of skill, just patience and a willingness to follow directions. 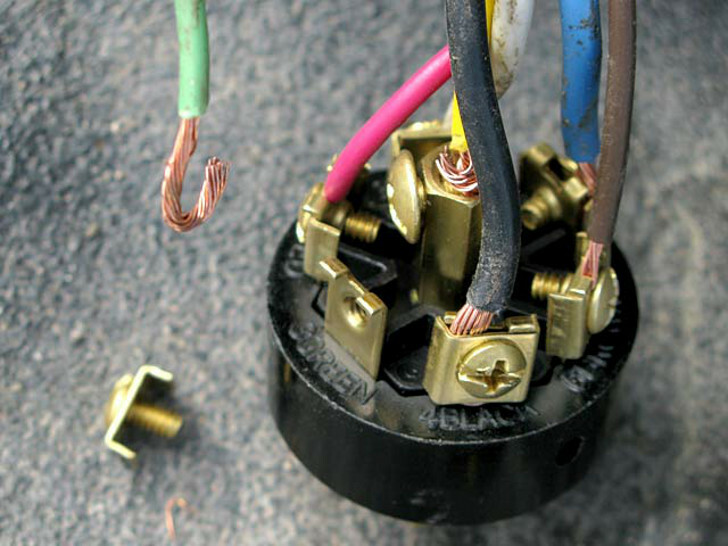 Once you make this repair, you’re very likely to always remember to unplug your trailer cord the next time you set up camp!